Triple MG recording artist and super producer SELEBOBO releases his highly anticipated single “MIRACLE GIRL”. 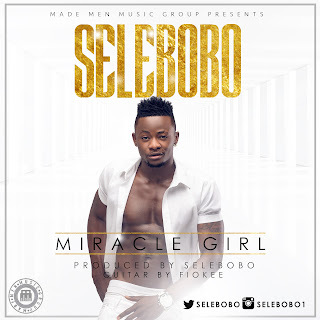 Selebobo who today 29th of July celebrates being a year older flawlessly delivers on this more relaxed tempo, showing his versatility as an artist, songwriter and producer. With the magical fingers of Fiokee strumming the guitar strings, Miracle Girl surely has the potential to be a fan favourite and a potential African HIT!! !